If you want to know what birds are likely to turn up in your garden or where to go to see spectacular bird-life, RSPB Birdwatching for Beginners is the best place to start. Perfect for the novice birdwatcher, with everything you need to know about observing birds in their natural environment, but packed with facts and details invaluable to the experienced birdwatcher. Features 250 of the most common species found throughout the UK and Europe, complete with photographs, descriptions, and distribution maps to aid in identification. Provides expert spotting tips and lists the best birdwatching sites along with what to look for in each habitat. 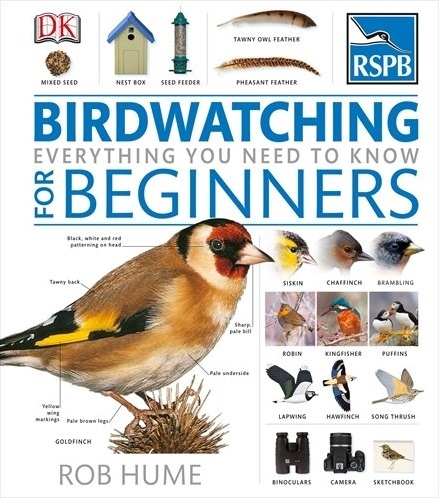 Fully updated to include all the latest developments in photographic equipment and online technology as well as information on every aspect of birds, from their anatomy and behaviour to how to identify them in the field, RSPB Birdwatching for Beginners has everything you need to know.